Your Christmas tree is likely, at present, to be gracing the floor of your living room, adding a merry element to your cozy surroundings. Your majestic tree may be artificial or freshly plucked from a forest floor. You may have hung a delightful series of gorgeous holiday ornaments upon its branches, lending memories and making more. Better yet, your tree may glisten in the darkness with a string of colorful, blinking lights. All these festive gestures make Christmas a lovely time of year. And the Christmas tree is often the center of attention. At the same time, a Christmas tree, in all its cheery splendor, can become a destructive element, if not taken care of properly. Fire departments responded to 230 home fires caused by Christmas trees in the last few years. Simple holiday fires may seem harmless. However, the National Fire Protection Association (NFPA) reports that from 2007-2011, $18.3 million in property damage resulted from Christmas tree fires. Where there is fire, lives can be lost. 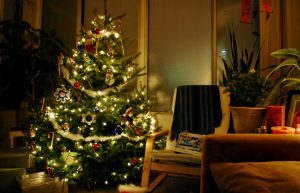 The NFPA estimates that 1 out of 31 Christmas tree fires is deadly. Given these alarming statistics, Christmas tree fires are not all too common. When they do occur, however, they can be extremely damaging. Whether you choose a fresh tree or an artificial one, minimize your chances of your tree catching fire with the following tips. Electrical issues tend to be the biggest culprit when it comes to Christmas tree fires. When choosing lighting or other electrical decorations for your tree, read the manufacturer’s labels for indications that the decor is flame retardant. Nationally recognized testing labs are the most trusted. Look for such labs on the label. Examples of reliable labs, according to the Consumer Product Safety Commission, include Underwriters Laboratories, Intertek, or Canadian Standards Association. The U.S. Fire Administration indicates that a short in even a single light can ignite a Christmas tree fire. Keeping this fact in mind, examine the strands of holiday lighting. If you notice any frayed wires or wear, loose connections or broken lamps, replace the holiday lights with new and safer ones. The National Christmas Tree Association reminds us that electrical sockets overloaded with lights tend to spark a tree fire. Connecting more than three strands of lights is discouraged. Use only one untangled extension cord that easily reaches an outlet. All light connectors must be off the ground and away from metal rain gutters. Any outdoor lighting must be labeled for exterior use. When it’s time for you to turn in, turn off the Christmas tree lights. In addition, when you’re away from home, your holiday lights should be off, too. 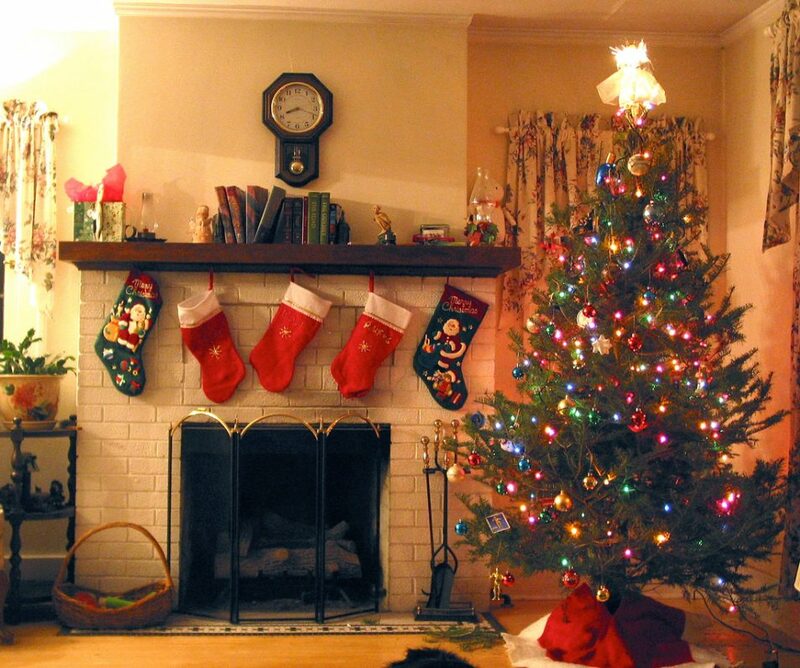 Studies show that one in every four Christmas tree fires is due to the tree being too close to a heat source. Before hunting for a tree, envision a perfect place for it. Experts recommend keeping your tree away from heat sources, like a fireplace, radiator, candles and heat vents or lights. The majority of home candle fires occur during Christmas Eve, Christmas, and New Year’s Day. Candles also start every two out of five home décor fires. Appealing as it may look, never decorate your tree, fresh or artificial, with candles. If you decide on a fresh tree this holiday season, a freshly cut tree is less likely to be a fire hazard. The safest fresh tree is one that is still growing. Cut the tree yourself, or select a pre-cut tree that is thriving and healthy. The limbs and needles of fresh trees have moisture running through them, making these types of greenery less susceptible to fires. Ensure all leaves are green. Brown needles indicate a dry tree, and one that is more prone to catching fire. It’s important to select a fresh tree with its needles intact. Avoid trees with readily shedding needles. Instead, pick a fresh tree with needles that are firmly rooted in the branches and difficult to pluck. A good test during your Christmas tree scouting is to bounce the cut end on the ground to see if any needles fall off. If a large amount of needles drop to the ground, the tree is unsafe to be in your home. When you select the healthiest, most vibrant fresh tree, be sure to water the tree daily once it’s in your home. Frequently watering your newfound centerpiece prevents it from drying out. The freshly cut tree can only absorb the water in the Christmas tree stand if the bottom two inches of the trunk is cut off once it’s inside your home. Make sure to keep the water level well above the bottom of the trunk. A dry tree inside your home is a dangerous one—so remove the tree from your home once it is dry. In the event of a Christmas tree fire in your home, call 911 immediately. Once the fire department extinguishes the fire, you’re likely to be left with a watery, smoky and soot-filled environment. There’s no better way to revitalize your home after a tree fire than with the help of a fire and smoke damage restoration specialist. Fire and smoke damage restoration companies clean and restore soot- and smoke-damaged properties, from ceilings to walls to furnishings, using advanced techniques. Trained technicians also remove odors caused by lingering smoke with high-tech deodorization processes. Reputable fire and smoke damage restoration companies like ServiceMaster by Restoration Contractors respond immediately to emergency calls. The sooner you call after a fire is extinguished, the better the chances of reducing the pervading effects of smoke and fire damage. ServiceMaster by Restoration Contractors is proud to serve the Fort Wayne and Northeastern Indiana communities with speed, professionalism, and thoroughness every day of the year.